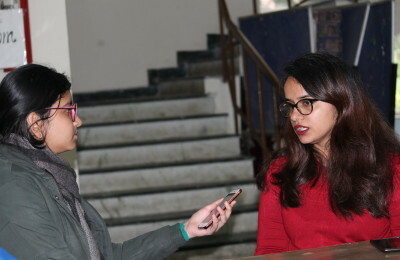 The University of Delhi is a dynamic place to be, and records new highs with various achievements but also new lows with several controversial issues taking place every year. With another academic session coming to its end, we bring to you another edition of The Best and Worst of Delhi University series. January 2015: The Indian Science Congress honoured Professor Diwan S. Rawat of Department of Chemistry with the ‘Professor RC Shah Memorial Lecture Award’ for his contributions in the area of Medicinal Chemistry. Professor Rawat’s work is associated mainly with the development of small organic molecules for the treatment of fatal diseases such as Malaria, Bacterial infection, Cancer, and Parkinson. September 2015: Professor Rajeev Gupta of Department of Chemistry, University of Delhi, was honoured with the Bronze Medal (2016) by the Chemical Research Society of India (CRSI) for his contributions to research in Chemistry. Professor Gupta works on several interdisciplinary fields such as coordination chemistry, bio-inorganic chemistry, supra-molecular chemistry, designed materials, catalysis, and inorganic medicinal chemistry. October 2015: Delhi University students won all 12 matches at the Inter University North Zone Chess Tournament held from the 5th to the 9th of October 2015 at Bundelkhand University, Jhansi, defeating 26 teams from across the region to win the prestigious competition yet again. The team comprised of 4 students from the Shri Ram College of Commerce and 2 from Hindu College. March 2016: Delhi University saw a representation in 12 subject-wise QS World University rankings that were released on 22nd March. Development Studies continues to be the leading champion though it slipped from 17th position last year to 18th this year. The subjects include Anthropology, Development Studies, Chemistry, Sociology, Geography, History and Archaeology, Modern Languages, Physics, Economics, Mathematics, Biological Sciences and Computer Science and Information Systems. April 2016: Professor Kaushik Basu, Chief Economist of the World Bank, who taught at Delhi School of Economics (DSC) for more than two decades, was conferred the first “Professor A.L. Nagar Fellow” award at the the aforementioned institution on the 1st of April 2016. Professor Basu highlighted the Bank’s objectives towards India and compared it with the other economies of the world in his address. He forecasted high growth rates for the nation in the upcoming years and also elaborated on the challenges that lie ahead for our country. Stay tuned for more articles within the series! shramang@dubeat.com ; Shraman graduated from Modern School Barakhamba Road and is currently pursuing Economics Honours at Hindu College. In addition to writing, Shraman loves reading books and constantly tries to make himself better aware of the world around him. His pastimes include community service and theatre which he actively pursues in college. He hopes to complete his undergrad and do masters in Economics or Finance so that he can try and contribute to our country's economic development and growth. He loves travelling and is a massive foodie as well.